Sometimes landlords give up too easily — like when it comes to pursuing a tenant who skips out without paying the last couple months’ rent. Landlords often feel powerless when facing the prospect of legal action against a bad tenant. After all, how will they find the deadbeat? Is it worth the hassle? Backing down only encourages tenants to repeat the pattern. Eventually, it will catch up with them — but only after a landlord decides to take action. Always demand a completed rental application, including personal reference and emergency contacts. That information creates a trail to their door, and makes collection possible. Keep good documentation, including rental payment records and receipts for damage. This habit alone can make it much easier to win a judgment against a bad tenant. Don’t get discouraged. A significant percentage of tenants will pay right away once they realize the landlord is serious about collecting what is owed. The traditional collection company is not the only option for collecting delinquent tenant debt. AAOA members have an advantage when it comes to debt collection. Rather than agreeing to pay as much as 50% of the debt to a collection company up front, AAOA members can first send automated collection letters through a collection agency, and keep whatever they collect from the tenant. To access this service, go to RentRecoveryService.com, and choose Flat Fee Collection. 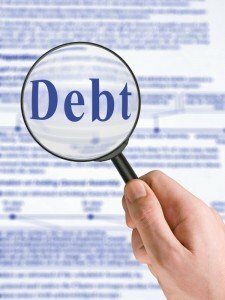 Another mistake landlords make when dealing with debt collection is thinking that once the debt is a few months, or even years old, they are powerless to collect. Collection laws favor landlords when it comes to collecting delinquent rent. Many states allow the landlord several years to collect this debt, after the tenant has gotten back on their feet. Check with RentRecoveryService.com to see if your old debts are still collectible. Your deadbeat tenant may believe they have gotten away with ripping you off Ã¢‚¬” but you may get the last laugh! For more information on debt collection, visit our Rent Collection page.